JPMorgan Chase & Co., Bank of America Corp. and Citigroup Inc. said they’re halting purchases of Bitcoin and other cryptocurrencies on their credit cards. Bank of America started declining credit card transactions with known crypto exchanges on Friday. The policy applies to all personal and business credit cards, according to a memo. It doesn’t affect debit cards, said company spokeswoman Betty Riess. Friday, Citigroup said it too will halt purchases of cryptocurrencies on its credit cards. “We will continue to review our policy as this market evolves,” company spokeswoman Jennifer Bombardier said. Allowing purchases of cryptocurrencies can create big headaches for lenders, which can be left on the hook if a borrower bets wrong and can’t repay. There’s also the risk that thieves will abuse cards that were purloined or based on stolen identities, turning them into crypto hoards. Banks also are required by regulators to monitor customer transactions for signs of money laundering — which isn’t as easy once dollars are converted into digital coins. 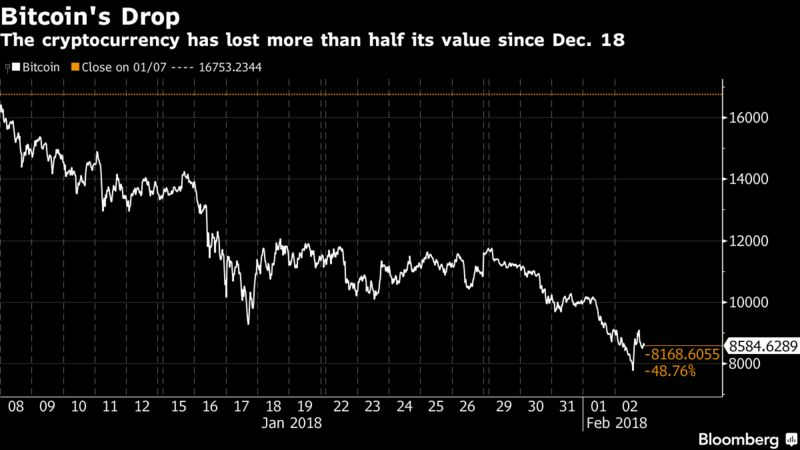 Bitcoin has lost more than half its value since Dec. 18, falling below $8,000 on Friday for the first time since November. The drop occurred amid escalating regulatory threats around the world, fear of price manipulation and Facebook Inc.’s ban on ads for cryptocurrencies and initial coin offerings. Now, cutting off card purchases could exacerbate those pressures by making it more difficult for enthusiasts to buy into the market. Capital One Financial Corp. and Discover Financial Services previously said they aren’t supporting the transactions. Mastercard Inc. said this week that cross-border volumes on its network — a measure of customer spending abroad — have risen 22 percent this year, fueled partly by clients using their cards to buy digital currencies. 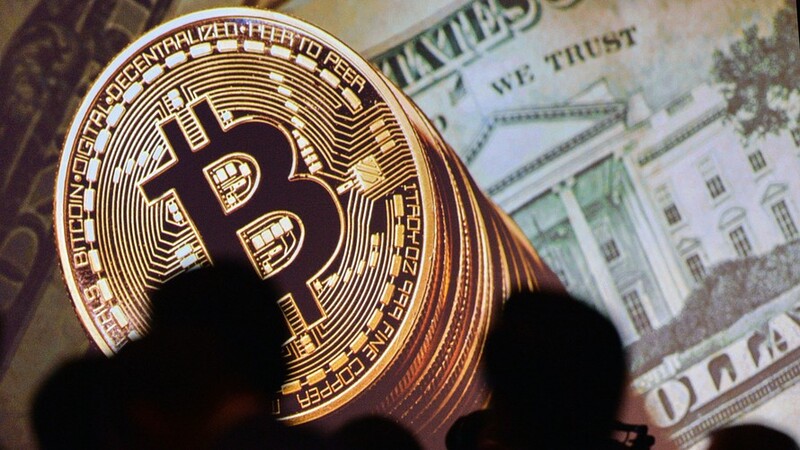 The firm warned that the trend already was beginning to slow as cryptocurrency prices fell. Discover Chief Executive Officer David Nelms was dismissive of financing cryptocurrency transactions during an interview last month, noting that could change depending on customer demand. For now, “it’s crooks that are trying to get money out of China or wherever,” he said of those trying to use the currencies.